A harmonious blend of white, pink and maroon shades. Beautiful! OUTDOOR VARIETY. Flowers March-April. Height 25cm. Bulb size 15/16cm. (Bulb sizes quoted in centimetres refer to the circumference of bulbs. All bulbs are sourced from cultivated stocks.) Please note: Handling hyacinth bulbs may cause temporary itching. 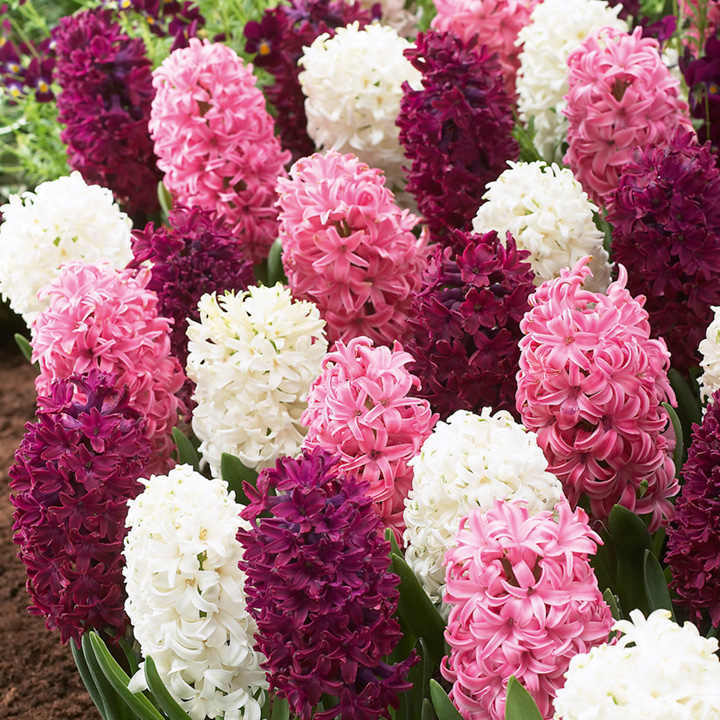 Hyacinths make an excellent addition to any garden, providing stunning spring displays of fragrant blooms, in both borders and containers. Planted in groups, they also provide a compact, elegant display along walkways!